Home / Celebrity / Salamina Mosese / Hot 34 year-old Mama! 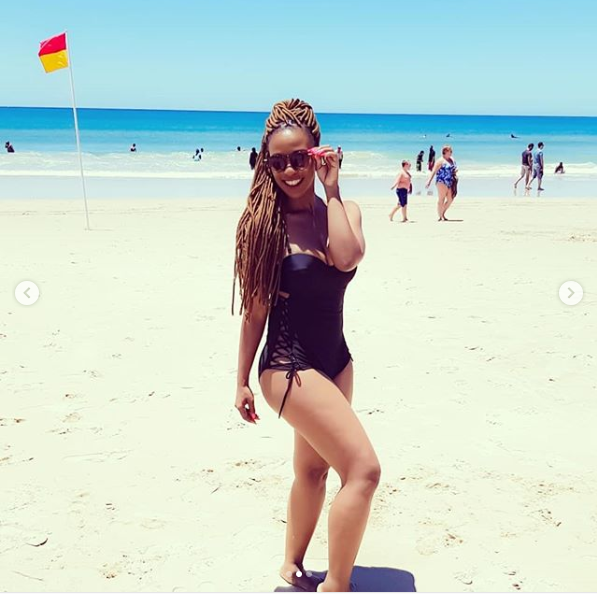 Salamina Mosese Flaunts Her Bikini Bod! Hot 34 year-old Mama! Salamina Mosese Flaunts Her Bikini Bod! Hot Mama! Salamina Mosese Flaunts Her Bikini Bod! The actress who has two kids with her actor husband Howza but one would never tell just by looking at her. Let’s just say she gives girls in their 20s a run for their bikini money. Like most people, the 34 year old is enjoying some quality down time with her loved ones at the beach. Rocking a one piece black bikini, Salamina looked hot while showing off her fit thick curvy body.